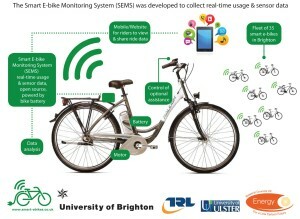 Leading the EPSRC-funded research project ‘Smart e-bikes – understanding how commuters and communities engage with electrically-assisted cycling’. Fellow of Richard Sennett’s Theatrum Mundi. In Collaboration with STEIM, Waag Society and Futuresonic. In collaboration with the Adelphi Research Institute at the University of Salford, PLAN: Pervasive and Locative Arts Network and Victoria Institute.